When you buy personalized Christmas gifts for your loved ones, it lets them know that you put a little bit of extra time and care into selecting a present made especially for them. Although I have only received a few custom created gifts throughout my life, I can tell you from experience that those types of gifts are always held closer to your recipient’s heart. They are one of a kind, and completely irreplaceable- just like your loved ones. With so many types of personalized gifts on the market these days, however, it can be quite a chore to decide which item to purchase. Fortunately, we have tracked down some fabulous personalized Christmas gifts for everyone on your list to make your selection a little easier. C’mon- we would love to show you what we found! There aren’t many things more appealing on a cold winter morning than wrapping up in personalized comfort, and Towel.com has got your loved ones covered in that aspect this year. 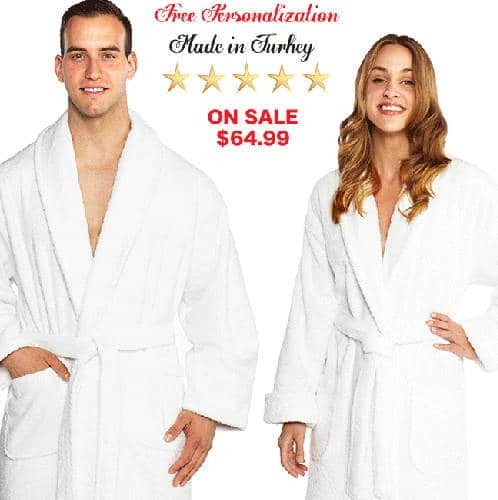 Check out their luxurious Terry Bathrobe for him or her that is made from 100% Turkish Cotton and includes the monogram of your choice. It’s ideal for lounging around the house this season! If you are searching for a unique personalized gift to let that special someone know how proud you are of his or her accomplishments, YourCover has just the thing. They offer customized fake magazine covers that feature your favorite photo of your recipient, unique headlines that match his or her most notable achievements, personality traits, and more, and you can even add a back cover if you choose. 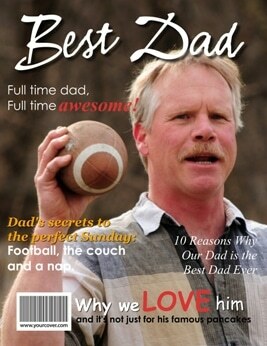 Magnificent last minute Christmas gifts, these magazine covers can even be printed right from home! Kids love receiving a gift that has been custom created just for them, and BKeepsakes offers an exciting line of personalized products the kids are sure to treasure. 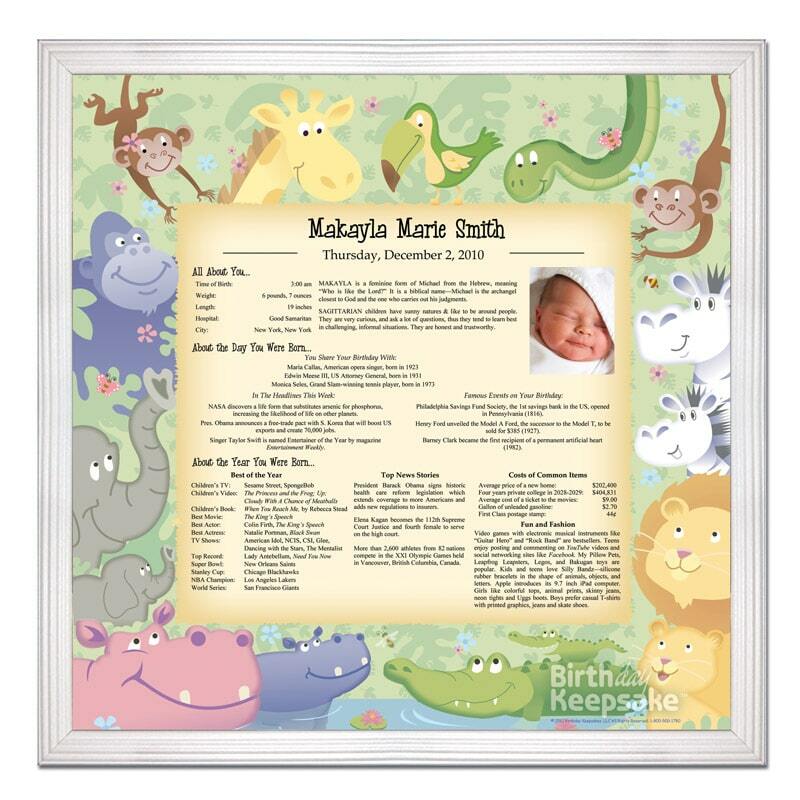 Choose from custom designed books that feature that one of a kind kid on your list, order a customized Letter and Gift from Santa Claus, or check out their Day You Were Born Print that is perfect for babies! 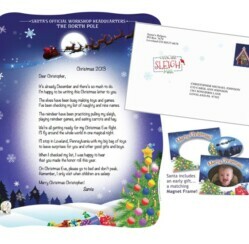 Personalized Christmas gifts for kids make excellent keepsakes throughout the years. For more magnificent ideas for custom created presents, be sure to check out our Personalized Christmas Gifts category, and keep checking back! We are always adding something new and exciting.